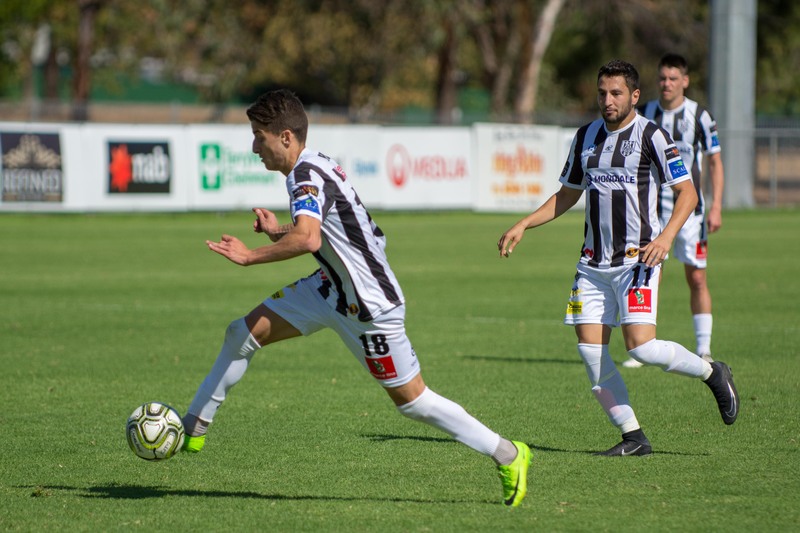 City's effervescent Evan Kostopoulos beats the Birkalla keeper on his way to scoring City's fourth goal and wrap up the match at Adelaide City Park on Saturday. 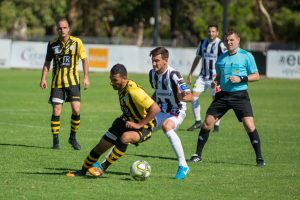 Adelaide City returned to the top of the National Premier League ladder yesterday with a comprehensive 4-1 win over West Torrens Birkalla at Adelaide City Park. The Black and Whites were boosted by the return of Anthony Costa, as the reigning NPL SA leading goalscorer missed last week’s 1-0 defeat to Campbelltown due to a calf injury. 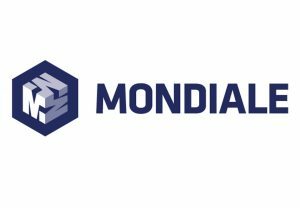 However, defender Bradley Corbo and explosive winger Mamadi Kamara were late exclusions to the starting lineup as they recover from ankle injuries sustained last week, while Tom Love is still sidelined with a hip injury. It was a great start to the encounter by the hosts as they controlled the tempo and much of the possession in the opening 20 minutes, and in the 27th minute of the contest it was indeed City who drew first blood through the returning Costa. Nic Bucco was fouled in the attacking third by Jake Monaco. 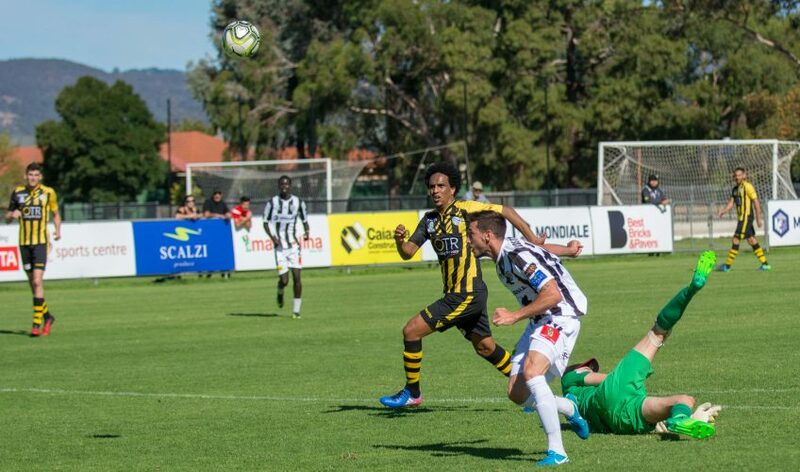 Bucco played on quickly with an exquisite lofted through ball splitting through Birkalla’s defence as Costa took a touch before firing a shot straight at keeper Joe Gauci who parried it straight back into Costa’s path as he made no mistake with the rebound. Three minutes later, City doubled their advantage with another well-worked team goal. Evan Kostopoulos moved into a great crossing position before cutting back to Valentino Yuel. 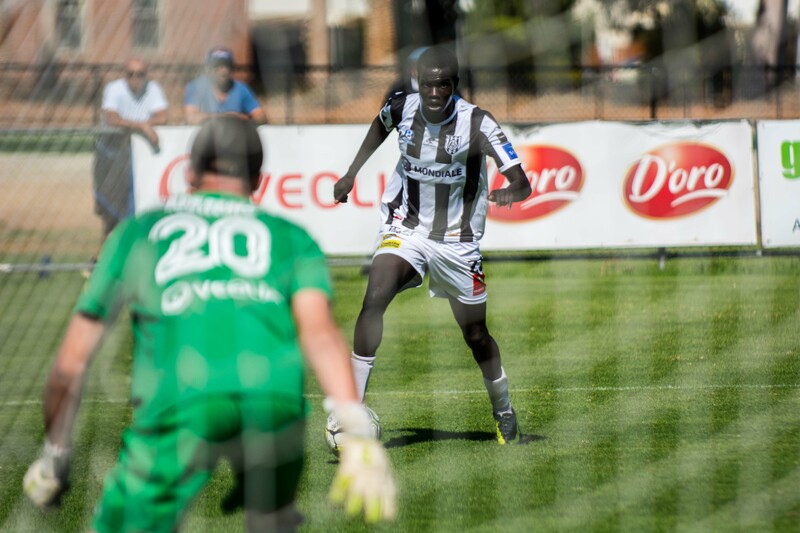 Yuel unleashed a shot which smacked against the upright before collecting the ball and slotting it home from six yards. 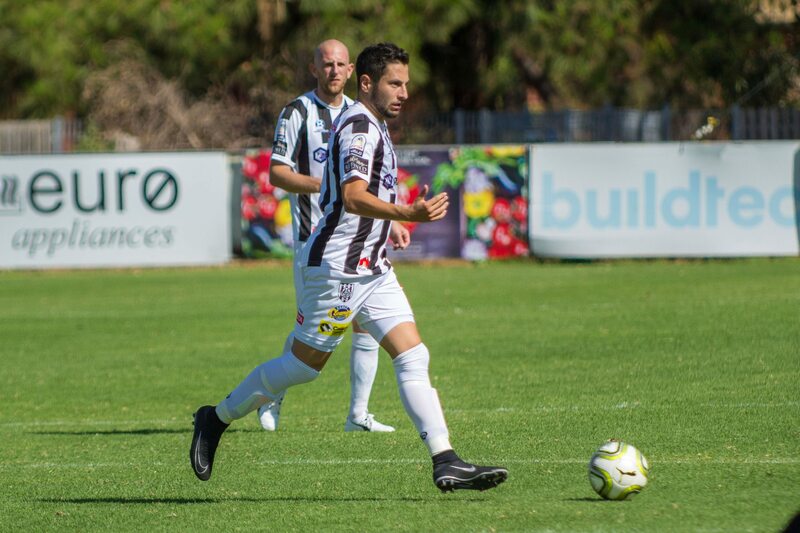 It was a special moment for Yuel as it was his first goal for the club since his off-season move from Adelaide Comets. Five minutes before half-time Josh Mori grabbed his fourth goal of the season after nice build up play from the squad saw him slide the ball home from 13 yards as he helped his side go into the break with a three goal advantage. The second half picked up where it left off as the hosts continued to dominate, however in the 65th minute Birkalla pulled a goal back through ex-Black and White Fumiya Suzuki. Birkalla received a free kick from 25 yards, and Suzuki pulled off a coup by signalling that he would cross the ball into the penalty area before curling the ball around the wall and beating Luke Ostbye to his near post. 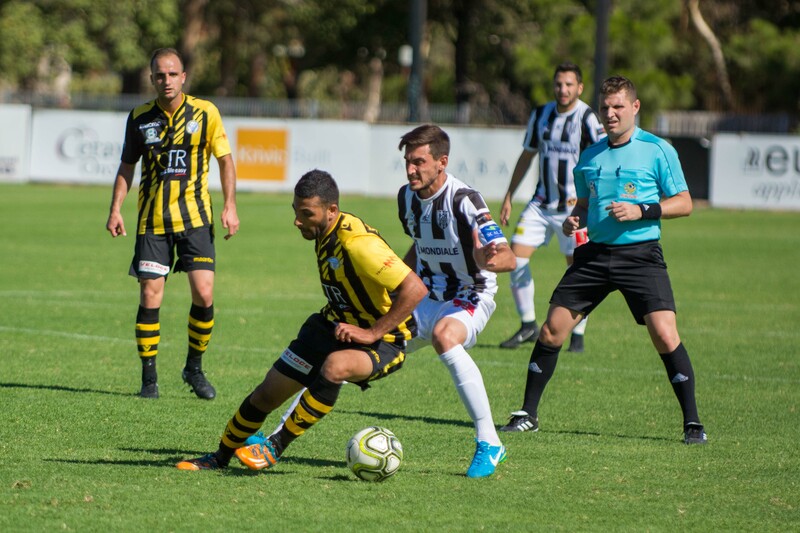 However, five minutes later Evan Kostopoulos consolidated City’s win after he rounded the keeper and passed the ball home into an empty net to give City a 4-1 win. After three matches City sit top of the table while having scored 14 goals already in the league while conceding just two. Adelaide City travel to the Smith Partners Stadium next Sunday as they do battle with Adelaide United’s youth squad in Round 4 National Premier League action. The next home game is the big West Adelaide double header as both our women and men’s teams clash in the real derby on Saturday 17 March – one not to be missed!